With over 20 years of rebuilding experience you can expect a product that lasts. We offer Genuine Rebuilt Eaton Transmissions that come with a 30 month warranty. We rebuild and repair in house. No second party assessment required. We cover warranty locally. We rebuild with only Genuine Eaton Parts. From the bearings to snap rings to gears you know that what we are putting inside your transmission is going to last. 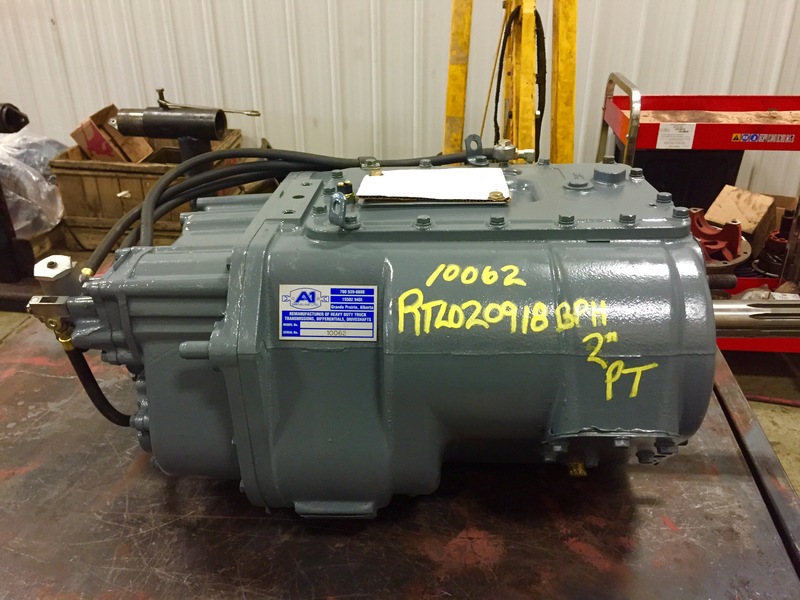 Rebuilding transmissions ourselves allows us to have much more flexible pricing. Give one of our partsmen a call we’d be glad to get you pricing. Want to know what we have in stock and pricing? Give us a call or send us an email. Normally when you have transmission problems a mechanic shop will just provide you with a re- manufactured transmission. Out with the old and in with the new. But we offer a “cost of repair service” where we can assess your transmission and only fix the parts that need to get replaced.